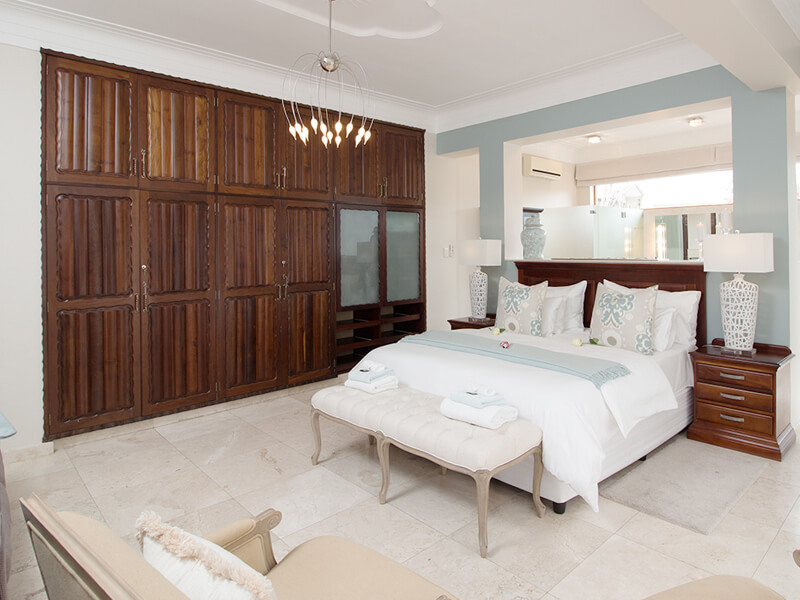 The Luxury Presidential Suite sleeps 3 people and has sliding doors onto a private patio with spectacular sea views. 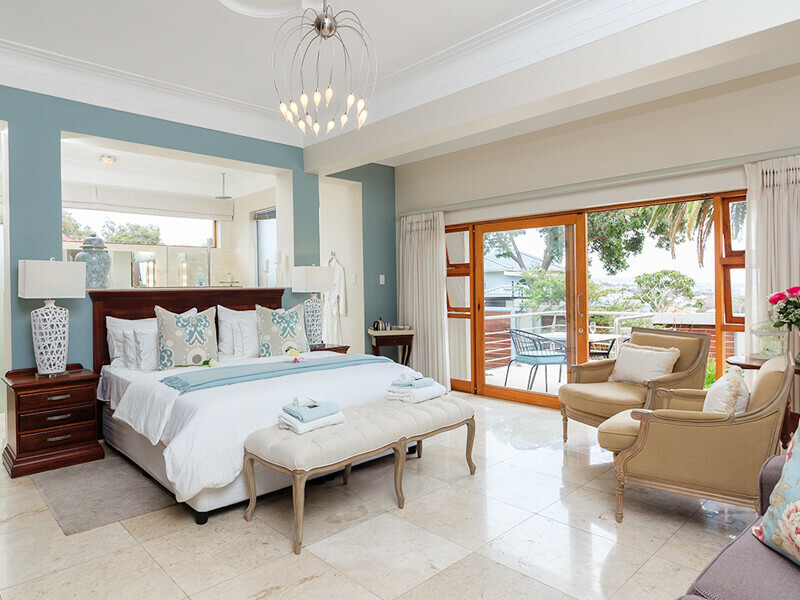 The room is equipped with a sleeper couch and an extra length king size bed with Egyptian cotton linen. 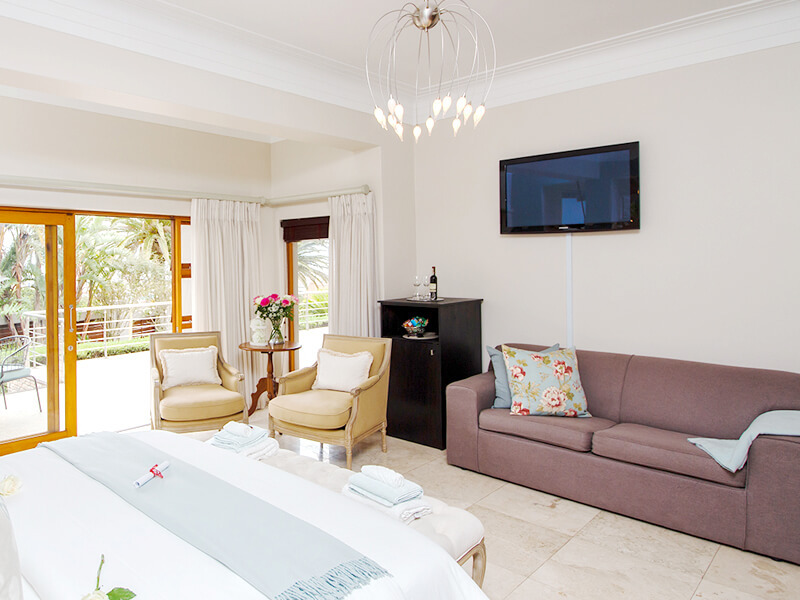 This spacious open-plan suite has 2 comfort chairs, a writing desk & a flat screen TV. 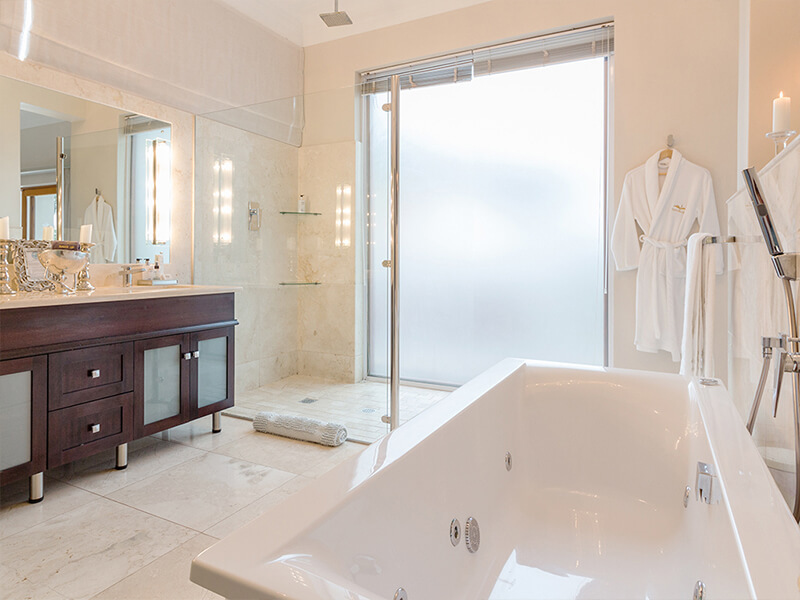 The en-suite bathroom has a bidet, a large walk-in shower, spa-bath and double vanity.